I enjoyed my walk in and with nature this morning. Thank you John Muir. 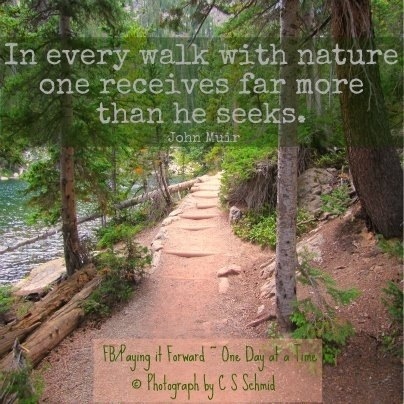 I Am Looking Forward To Walking In Nature With You In The Adirondacks! Bringing My Camera As It Will Be A Memorable Experience No Doubt!